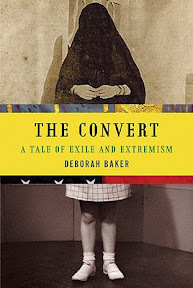 The Convert [Book Review] – my books. my life. This book disappointed me. And kept disappointing me over and over again. The topic is interesting: how Margaret Marcus, a Jewish girl from New York, becomes Maryam Jameelah, a devout Muslim living in Pakistan. And the style was interesting: alternating Margaret/Maryam’s letters with background information. But then I kept reading. At first, I really enjoyed the letters and I only took issue with the in-between sections because the author inserted herself and her personal thoughts into them. But then the letters got less interesting. And then, we learn that the letters aren’t even authentic. Since the author explained that she came across the letters in the New York Public Library, I think it was natural for me to think they were the real letters. Turns out the author edited them. And rewrote them. And you don’t find out until AFTER you’ve read the entire book. That problem is compounded by the unreliability of Margaret/Maryam in her letters to begin with. If her story is interesting, this book did not do it justice. Sorry to see that this one is falling flat on lots of blogs/reviews. It seems like it had a lot of potential. The circumstances behind the letters would have made me burning mad, and especially after having read the whole book first before finding that out! I am not going to be reading this one, and I thank you for sharing this information with us today. What a stinky thing for an author to do. Just about as bad as James Frey! She isn’t as bad as Frey because she actually does state that the letters have been edited, but it is still incredibly annoying because she doesn’t tell you until the very end of the book. Your last line is YES! EXACTLY! This book just makes me sad.